The Office of Historic Sites preserves and interprets the history of New Jersey through historic buildings, objects, places, exhibits and landscapes in State ownership. These historic resources hold meaningful associations and reveal compelling stories significant to the people of New Jersey and the Nation. The Office is committed to increasing the public’s awareness, knowledge and appreciation of New Jersey’s history by administering the following program areas. Collections Management – The Office oversees the administration of the Division of Parks & Forestry’s statewide collections management program, including the development and implementation of Division policies and procedures on the care and maintenance of the Division’s historical collections. The Office also maintains records and correspondence relative to object acquisitions, loan and conservation treatment requests and provides staff training in curatorial matters. 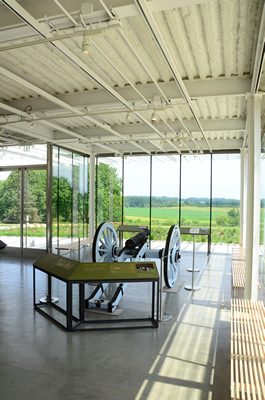 Interpretation, Research and Exhibits – Working with other Division units and facility staff in the development of new exhibits and interpretive programs at the State Historic Sites, the Office conducts research and incorporates findings into site-specific interpretive plans, programs, exhibits, special events and publications. Planning – As part of a team, the Office of Historic Sites participates with other Division units in planning for the restoration, development and interpretation of the State Historic Sites. The Office assists in the preparation of General Management and Interpretive Plans as well as other special resource studies such as furnishing and disaster preparedness plans. Publications – In collaboration with Historic Site Staff and other Division units, the Office develops brochures, promotional literature and other publications related to the State Historic Sites. 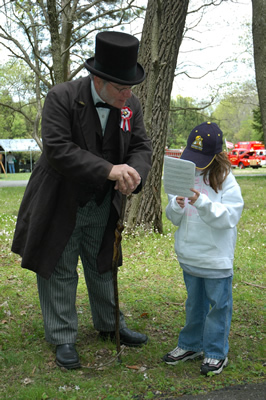 Special Projects, Events and Marketing – The Office of Historic Sites coordinates and implements the annual Spirit of the Jerseys State History Fair and assists historic site staff and other Division personnel in the planning and presentation of special events and activities.